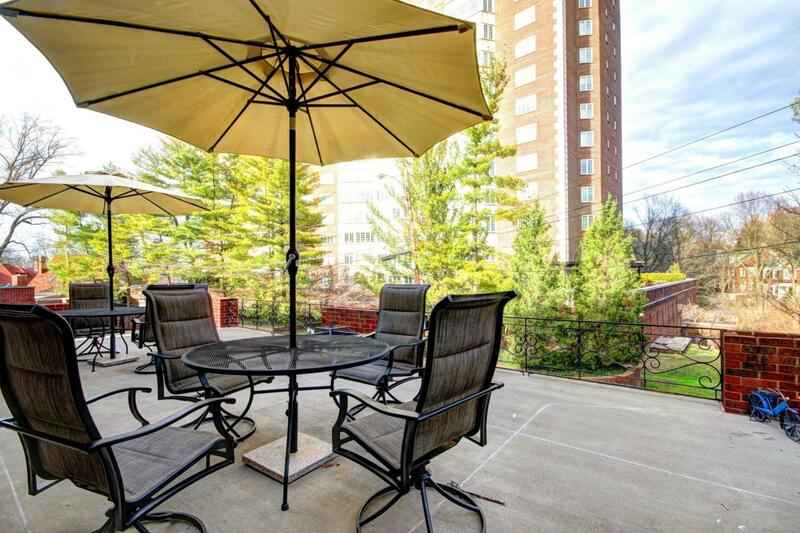 Cherokee Triangle Parkside Living! Spacious but cozy first floor condo. 2 or 3 bedrooms. 2 1/2 baths. 2 indoor garage spaces. Large peaceful deck. Hardwood, granite, maple cabinets, crown molding. Spacious living and dining room open to kitchen is great for entertaining. Lots of storage and closets. Finished basement with brick gas fireplace and 1/2 bath can be used for bedroom, family room or office. Walk to shops, restaurants, coffee and bookstores. Walk to Cherokee Park and concerts in Willow Park. Close to downtown.